Smart speakers like Google Home and Amazon Echo aren’t the engine that makes smart homes go, but they are one of the most critical components to having a complete smart home. If there is one piece you want to add to your home to begin adding smart home elements to it, you NEED to start with the smart speaker. Smart speakers not only play music and tell you the weather when you ask, but they can sync with nearly every smart device on the planet and allow you to control everything without anything more than your voice. If you want to unlock the door because your kid is coming home in a few minutes, simply tell Alexa to unlock your smart lock. If you want to turn on the cool air, both Google Home and Amazon Echo can sync with your Nest thermostat and lower the temperature. You can even control your WiFi sprinklers. But before you decide on which is right for your home, first let’s look at what makes them different. Both Google Home vs Echo stand between 6-10 inches tall and require a power outlet to charge. The Echo is slightly heavier than the Google Home, weighing about 2.5 pounds. The Google home weighs barely more than a pound. Amazon Echo is cylindrical and comes in black and white while the Google Echo has a curved base that can be customized and tapers toward the top of the unit. Amazon Echo has some new products in their family, including Echo Look, Echo Dot, and Echo Show. The Dot acts the same way as the Amazon Echo with fewer speakers for sound but similar capabilities. Multiple dots can be synced together so that no matter where they are in your house, you can communicate with all of Echo’s capabilities. The Echo Look is a camera-style assistant that can take pictures and short video. It can still read news and play music, but adds the capabilities of saving images and offering style advice from Style Check, a service that uses algorithms and advice from style experts to recommend new fashion products you might be interested in. Soon to be released is the Echo Show, which will add video capabilities to everything Echo already has. Google Home doesn’t come with the same lineup of products associated with it like Amazon Echo. While some might see it’s lack of a style assistant as a negative, Google Home does offer more customization when it comes to itâs look. 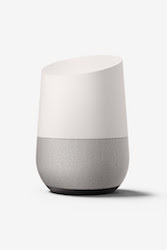 The base of the Google Home can be changed to fit whatever style room it’s in, including color and metallic speaker guards. Ultimately, you want a smart speaker that will fit in with everything you home has (or will one day have). 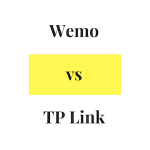 Both Google Home vs Echo pair with many smart technologies such as August locks, Belkin Wemo lighting, as well as smart thermostats and home alarm systems. One key advantage Google Home has over Amazon Echo is that it is the only smart speaker that works with your Chromecast, so you can play Youtube videos on your TV without lifting a finger. While Amazon doesn’t work with Google products like Chromecast, it does work with more smart products, like Lowe’s Iris, Blink, Carrier, and Netatmo (among others). Amazon Echo also is perfect for anyone who orders products on Amazon. It remembers past orders, and you can order dog food or trash bags as you’re walking out the door. Another advantage of Amazon Echo over Google Home is that Echo has more than 11,000 unique skills that it can do without any other smart device. Things like playing music, ordering an Uber or pizza, and add events to your calendar. Google Home is growing it’s list of unique features, but currently has just over 200 features. One thing Google Home does have that separates itself from Amazon Echo is the ability to recognize individual voices. With this feature, you can simply talk about “your calendar” or ask Home to call “your mom,” and it will learn your voice and follow through on the command. Both Google Home and Echo have some learning curves and take a few tries to set up and sync to existing smart products, but both are pretty intuitive and do a fairly good job at making set up easy for anyone to do. Speaking strictly on Google Home and Amazon Echo (and not the Echo Dot which lacks similar speakers), Google Home is the cheaper option. Google Home costs about $129, whereas the full size Amazon Echo costs Out of stock. If having quality sound isn’t important to you, then Amazon Echo Dot is the MOST economic option, costing just Out of stock. This is a tighter race than we thought it might be, and both Google Home and Amazon Echo are constantly adding features that might separate them from one another in the future. 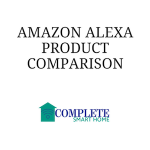 Ultimately, each do things better than the other, but the Amazon Echo is probably the better device for most people (click here to see all of the Amazon Echo devices). 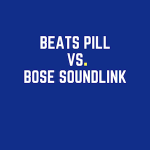 However, if you have a house full of Chromecasts and prefer Google Play music to Amazon Prime music, then Google Home is probably right for you. 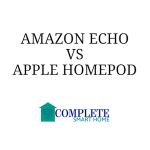 However, it is massive feature list and synchronization with more smart home devices make Amazon Echo the preferred smart speaker in our smart home (for now – check out how it compares to the Apple Homepod)! Make sure you secure your smarthome with a firewall device.